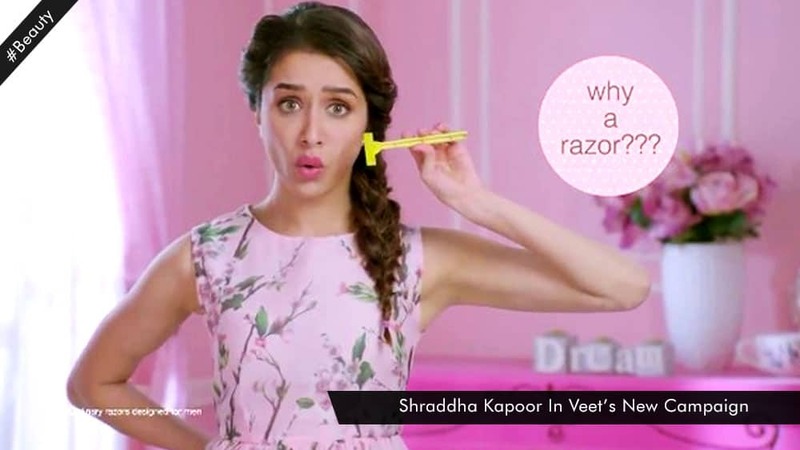 Veet, has just taken on board Shraddha Kapoor for a new campaign promoting non razor hair removal methods, targeted at young girls. The campaign features Shraddha Kapoor in a chic and vibrant avatar speaking of the cons of shaving. While I agree, shaving is not the best method of hair removal, the commercial does make remarks that are not in good taste. Did I just see a girl calling herself a bear because she has got body hair? Ouch. Plus, who said razors are for boys? I have friends with such meagre hair growth, shaving doesn’t give them “poky hair”. But yes, for those women who have ample hair growth, don’t shave it, just veet it! What are your views on this campaign?